GFA is a well-established international mission organization deeply committed to seeing lives and communities transformed through God's Word and compassion. We are a bridge and servant of the Church to fulfill the Lord's desire of transforming lives and communities in Asia through His love. We are a movement dedicated to glorifying the name of Jesus Christ and to proclaiming His grace and love to those who desperately need to hear it. This ministry began with a clear call from God and a genuine passion to see those dying without our Saviour come to know of His free gift of grace and mercy. More than 30 years later, our heart remains the same. Since day one, we gave this ministry into the hands of God, that He may lead it as He pleases in order for Christ to be glorified among the nations. It has been a blessing to see the people of God from different denominations and from all walks of life come together for this one purpose: to minister to those in great need with Christ's love. What are the most important values held by GFA? We strive to live by these values as God gives us grace. We believe that in doing so, we will reflect Christ’s life and make Him known to a generation that is dying without ever hearing His name. What is GFA’s statement of faith? In the bodily resurrection of everyone who has lived, the everlasting blessedness of those in right relationship with God, and eternal separation for those who have rejected God's forgiveness in His Son. The ministry is led by godly senior leaders who give leadership and set the course of the ministry based on the mission and vision of GFA World. These leaders seek God’s guidance through prayer and fasting when important decisions need to be made. There is also a governing board, known as the Board of Directors, that gives oversight for the governance of the organization to make sure legal requirements and accountability is maintained with the laws of the countries we work in. How can I get more information about GFA World? Visit our contact page for phone numbers, addresses, email addresses and websites that can help you learn more about the ministry of GFA World. What is it like to serve the Lord at GFA? Serving at GFA is not like working for a business. Staff members are considered family—not employees. We serve together and seek to maintain fellowship with one another through the bonds of peace and unity with the help of the Holy Spirit. We are a community of Christ, sustained—as individuals, families and groups—through personal prayer, common worship and everyday work for the glory of God and the extension of the kingdom of our Lord Jesus Christ (Psalm 133:1). Dietrich Bonhoeffer’s life and ministry, as explained in his book Life Together, had significant influence on our movement in this regard. There’s a strong emphasis on grace, love, thankfulness, prayer and seeking the Lord. Certain times of the day are set apart to pray for one another, for the ministry and for our brothers and sisters serving on the mission field. We commit all our work to Him in prayer, knowing the work is done in dependence upon Christ. Oftentimes, you will find people praying together in the hallways or in designated prayer areas. We encourage our staff family to strengthen and build each other up by serving one another. People are happy to help and even look for ways to bless others. When one of the staff falls ill or has a personal emergency, others in the staff family gladly help them with practical needs like providing meals, childcare, travel help, etc. When we fail, which all of us do, we try to be quick to repent, ask forgiveness and walk in the light and love of Jesus Christ, so fellowship and unity is maintained. It is a privilege to serve at GFA alongside my brothers and sisters in Christ, striving towards one goal: reaching the unreached. It's amazing to think that we are a part of sharing Jesus with those who have never heard his name before." What are the requirements for serving with GFA? When a person or family joins staff they commit to developing their own financial support team—just like staff of Cru (Campus Crusade for Christ), Wycliffe, YWAM (Youth with a Mission), Global Frontier Missions, Operation Mobilization and other mission organizations—in order to provide for their financial needs, including medical insurance. They commit to living in a manner consistent with Biblical values and maintaining a daily personal devotional life of Bible reading, worship and prayer. They commit to preserving and promoting unity of the Spirit through the bonds of peace (Ephesians 4:3). They commit to participating in GFA prayer meetings and gatherings. They commit to at least two years of serving with the ministry to be the needed support for our brothers and sisters in Asia. There is no legal binding, however, for anyone to stay the full two years; they are free to leave as they choose. Watch K.P. Yohannan talk about the significance of joining staff. What is a typical week like at GFA? A typical work week at GFA consists of morning prayer meetings and a Tuesday evening prayer meeting. There is also an extended night of prayer on the first Friday of the month. Staff serve in the office from 9 a.m. to 5:30 p.m. on Mondays, Thursdays and Fridays and from 8:30 a.m. to 5:30 p.m. on Tuesdays and Wednesdays. Evenings and weekends are free unless special needs arise for service or prayer. What does it mean to serve the Lord together as a family at GFA? When God calls a family to join staff, He calls them to invest their lives so people in Asia can hear about Christ and His great love. Just like a missionary family going to a foreign nation, their calling isn't just one part of their life, but it is the main focus of their life. Serving the Lord as a family is a joint effort, with each member sharing the same vision and encouraging one another to stay the course. What resources help staff members serve the Lord with GFA? When a person joins staff, they are given a list of books to read about discipleship, grace, spiritual warfare, evangelism and other topics for their spiritual development and for understanding ministry. GFA staff is also encouraged to listen to teachings from people who are steadfast in their walk with Christ, preach sound Biblical doctrine, have a heart for discipleship and have a desire to see people everywhere come to know the love of Jesus. You can download K.P. Yohannan’s books for free. Where do GFA staff members attend church? GFA staff members are free to attend any church the Lord leads them to. There are several good churches in the local area. We encourage our staff to attend where Christ is exalted and Scripture is taught. What is the GFA Discipleship Program (DP)? The GFA Discipleship Program is a one- to two-year program where young men and women can deepen their walks with Christ, develop a heart for the lost, while at the same time enabling hundreds of missionaries to serve on the field and share Christ. It is our heart that through this program, the Lord will raise up young people in this generation who are godly, who are actively engaged in reaching their generation for Christ, who fulfill their God-given purpose, and who live their lives in view of the day that they will stand before the Lord. While these young people take part in the GFA Discipleship Program, they also serve in our headquarters office on behalf of those who have yet to hear the name of Jesus. After completing the Discipleship Program, many go on to serve the Lord in a vocation or other ministries. Learn more about GFA’s Discipleship Program. How does my monthly support get to my missionary or child? Does my missionary or child directly get the monthly amount I send to support him or her? Let’s say you support a missionary named Ashok who serves in a remote area of Asia. You send in your monthly support for Ashok to GFA, where we carefully log your donation in your account. 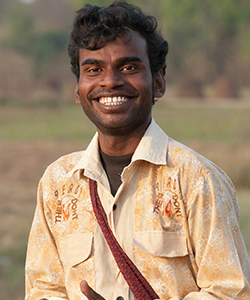 When we send funds over to the mission field—your monthly support for Ashok included—it is received at the main administrative office in South Asia. The main office then sends Ashok’s support to the corresponding regional office. 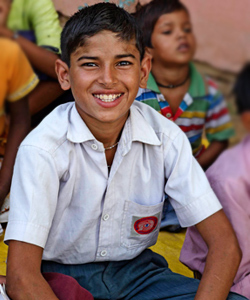 The regional office sends it to the district office that oversees the area where Ashok serves. Now, instead of traveling thousands of miles, Ashok can go to the administrative office nearest to him and receive his monthly support. Now let's say you sponsor a child from GFA' Bridge of Hope Program and her is Liya. Your monthly support follows the same route as the missionary support except once it reaches the district office, your support gets sent to the Bridge of Hope center where Liya attends. Liya doesn't directly receive the money; instead, it's given to the center to provide for Liya's needs. What happens if I am unable to send money to my missionary or child? Will they still receive funds that month? Through the gifts that individuals designate to our National Missionary Fund and our Unsponsored Children Fund, we continue to send support for your missionary or child if you are unable to send in your gift that month. They will not go without support. Learn more about our National Missionary Fund and Unsponsored Children's Fund. Since we are supporting the work of the churches in South Asia, how does GFA keep those receiving support from becoming dependent on the incoming funds? We believe a healthy church is a self-supporting church. The Methodists, Presbyterian and Baptist movements established churches, schools and hospitals in many Asian nations in the 18th, 19th and 20th centuries. Along with these establishments, systems were put in place that enabled them to become self-supporting. Now they continue without the need for outside funds to sustain them. We are so grateful to the Lord to see more than 4,000 churches that are now self-supported, meaning they are a full-fledged church with land, a building and believers who are giving enough through tithes and offerings to sustain their church and ministry. 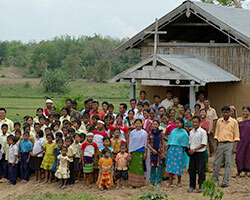 In one year, the believers in Myanmar financed 70 percent of the construction for 48 churches that needed to be built. The Lord is training and raising up a generation of believers in Asia who cheerfully give to see their churches and pastors thrive. Because of this, more and more churches, missionaries and pastors will become self-supporting in the future, freeing up foreign funds to expand ministry to more people. This is a wonderful answer to prayer and the beginning of the fulfillment of our goal to see churches established that are self-governing, self-financing and self-propagating throughout Asia! However, it could never happen to the same extent, especially in poor nations, without the funding received from overseas. It enables the churches to grow at a faster rate, pioneer new areas and take on new opportunities for ministry out that otherwise could not be possible. There are 400 well-established churches in Myanmar through our endeavors. Believers in these churches are poor, yet they have personally sent and supported 75 national missionaries to reach their own nation and have constructed about 280 churches—many through their own sacrificial and selfless giving. How are decisions made about who receives these gifts? Typically, the pastor and his elders in the local church will know the needs of those within their community and request a certain item on behalf of an individual or family. For example, a local pastor sees a family with a leaky roof during monsoon season. He will present a request for tin roofing sheets to his district leader, who will then survey and confirm the need and take the request to his regional leader. The regional leader will provide the funds for tin sheets, and the pastor will present the gift to the family at a distribution event in the community. Are gifts from the Christmas Gift Catalogue only given during the Christmas season? No, gifts from the catalogue are distributed to those in need year-round. Most people give for items in the Christmas Gift Catalogue during the Christmas season, but many provide for these gifts at other times of the year too. The field receives those donations and distributes the gifts at various times. This helps provide for people’s needs throughout the year instead of just at one time per year. What is GFA’s refund/return policy for materials (like books, DVDs, India bags, etc) that are ordered? If for any reason you find an item you've received from us is less than satisfactory, please return it to us within 30 days of receipt. We'll send you a replacement or refund cheque, or credit your bank card, whichever you prefer. Shipping fees to return the item(s) are not refundable unless incorrectly shipped, received damaged or defective. You can call us at 1-888-946-2742 for complete details. Several people help support a national missionary, totaling an average of $360 a month, but not all missionaries receive the same amount. Depending on where a missionary is located, the size of his family or the type of ministry he's involved in, the amount of support he receives will vary. Families with three to four children will receive more support for their needs than a single missionary or a family with only one child. Monthly support helps provide for the needs of the missionary and his or her family. It also helps with the office expenses where your missionary serves, which enables him or her to continue ministering on the field. If there is ever an excess of support for a missionary, what he or she does not need is given to missionaries in training or those on the field who do not yet have regular sponsors. This helps supplement their support until they are fully or self-supported. 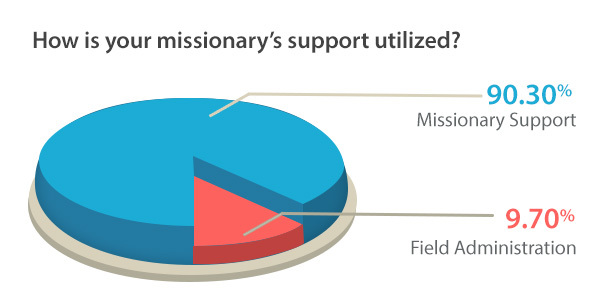 Missionary Support: The majority of the support goes to providing for a missionary’s living expenses. It also provides for his or her travel expenses and other various needs, like school fees for their children, winter clothing, medical insurance for the missionary and his or her family, and retirement insurance (like Social Security, which is required by many governments). Ministry support also includes extra money at Christmas, assistance with marriage preparation for single missionaries and missionaries with children of marriageable age, and help for children of missionaries who decide to go for higher studies. Field Administration: A small part of missionary support is used to provide for monthly meetings where missionaries in a region gather for encouragement and further training in their ministries. It also provides for the expenses of the missionary’s coordinating office. What are the qualifications of the national missionaries GFA supports? The national missionaries GFA supports have a definite call upon their lives to share the love of Christ and establish fellowships. They don't regard their calling as a job where they can quit anytime when difficulties and persecution arise. Our commitment is to help train and send out men and women who seek only God's approval and God's glory—those who will not be bought with money or seek their own, not even in the work of the Lord. They must also be people of integrity in the area of commitment to the Word of God and correct doctrine, willing to obey the Scripture in all matters. They must maintain a testimony above reproach, both in their walks with the Lord and also with their families. The leaders look for those who are willing to work hard to bring the love of Christ in and around the mission fields where they are placed. Watch our missionaries talk about the commitment they have to Christ and the call He has placed on their lives to fulfill the Great Commission. The accountability system on the field follows the pattern Moses used when he chose able men and made them heads over the people of Israel: leaders of thousands, hundreds, fifties and tens (see Exodus 18:25). On the field, local missionaries are accountable to their district leaders who in turn answer to regional leaders, who are accountable to senior national leaders. A missionary’s or field leader’s personal life, ministry and finances all fall under areas of accountability. Leaders who oversee others are chosen based on their godliness, integrity, good testimonies, ability to lead others, field experience and years of proven faithfulness in their life and ministry. Today we help support 58 Bible colleges throughout South Asia where thousands of men and women are studying God's Word and undergoing intensive training for three years in preparation for ministry. After graduating, the majority will go to remote areas to share the love of Jesus. The training is intense. Their day begins at 5 a.m. The first hour is spent in prayer and meditation on God's Word. Teaching, personal study time and practical training take place throughout the remainder of the day. Their day ends at around 11 p.m.
Every Friday evening is set apart for fasting and over two hours of prayer. Every weekend the students go to nearby villages to share the message of Jesus Christ. By the time their school year ends, they may have started dozens of Christian fellowships as a result of their weekends of ministry. Before they finish their three-year training, each student will have carefully read through the entire Bible at least three times. 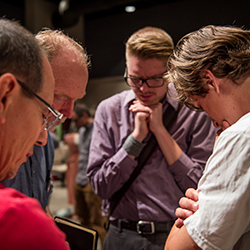 The students spend the first Friday of every month in all-night prayer, interceding especially for people in their country that need to know about Jesus and those in other nations. Through these times of prayer and their weekly ministry opportunities, the reality of a world waiting to hear of Jesus becomes very close to their hearts. Learn more about Bible colleges. What methods do national missionaries use to minister? Our national missionaries use all available means and opportunities to share the Good News with people on their mission fields. This includes public meetings, film showings, literature distribution, house-to-house visitation, personal witnessing, Christian radio broadcasts and TV programs, and a variety of compassion-related ministries. They choose the method that best fits the needs of their audience and is available in the areas they serve. For example, they show the film on the life of Christ to illiterate people, distribute literature to those that can read, witness and pray for the sick in their homes, help desperate communities to get clean drinking water, and share the Good News to all those that gather in a public or private place to learn more about Jesus. National missionaries travel on trains, busses, motorcycles, boats, bicycles and on foot to take the Good News to populated cities, slums, remote villages, mountain regions, islands and jungles. Watch a video about how a bicycle radically changes a missionary’s ministry. I noticed that sometimes the term “pastor” is used and at other times “missionary” is used when referring to the workers on the field. Is there a difference between these two expressions? Both of these titles fall under the single category of national missionaries. After a student has graduated from Bible college, he is sent out as a missionary. As he begins to share the love of Christ and more and more people come to know the Lord, a fellowship is born, and he gathers the new believers together to disciple them. As this fellowship continues to grow, eventually a church is started and the missionary then becomes the pastor of a brand new congregation. When this happens, the new pastor will take on the role of leading his congregation, but he will also continue his ministry of ministering to surrounding villages where the name of Jesus is still unknown. 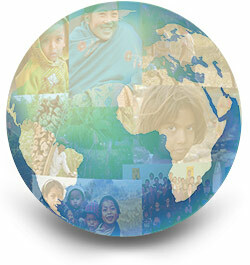 To help sponsor a national missionary online, visit www.gfa.org/sponsor. You can also call our office at 1-888-946-2742 or click here for more information. Sponsorship donations can be made monthly or annually by cheques, credit card charges or electronic transfers from your bank account. You will receive a picture and testimony of the national missionary you are helping along with periodic updates from the region where your missionary serves. We will send you a receipt for each tax-deductible donation to support your missionary. To learn more about national missionaries and how the Lord is using them to share His message of hope and love, please request your free copy of Revolution in World Missions. What does my monthly support for my Bridge of Hope child provide? Bridge of Hope centers may also provide school supplies; hygiene supplies; and gifts like bedsheets, warm blankets, an umbrella, mosquito nets or whatever students and their families need to have a healthy home environment. A percentage of support may also be used to purchase birthday gifts, Christmas gifts and winter clothes for your child. Monthly support also makes it possible for Bridge of Hope staff to meet with children’s families to help them understand the importance of education and medical checkups. It also gives parents the opportunity to learn life-changing skills by attending self-improvement classes where they learn basic family health care, personal hygiene and home cleanliness, how to read and write and how to practice safe food preparation and storage. A small percentage of your monthly support may be used to help with field-office administration, staff training and building rent for the Bridge of Hope center your child attends. Am I the only sponsor for my child? Yes. Each child has only one sponsor, which is why it means so much to them when you take the time to write letters and pray for them. Even more than that, as these boys and girls begin to understand God's love, expressed to them in very practical ways by their teachers and by you as their sponsor, they take the message to their parents, siblings, extended relatives and neighbors. As a result, hearts and homes previously resistant to the Good News are now open to the witness of national missionaries like never before. Your love and care reach far beyond just one individual. As you extend hope to your sponsored child, that same hope is passed on to many others. Can I write my child a letter online? Yes, you can. 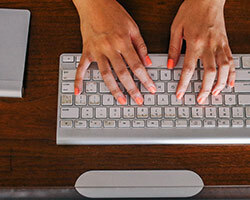 Either click here to begin your letter right away or log into your account on gfa.org and click on the “Write Your Child” link. Your letters make such a difference in the lives of those who are constantly derided and told they are worthless by their culture. How can I help sponsor a Bridge of Hope child? To help sponsor a GFA Bridge of Hope child online visit: http://www.gfa.ca/sponsorachild/. You can also call our office at 1-888-946-2742 to find out more information. Sponsorship donations can be made monthly or annually by cheques, credit card charges or electronic transfers from your bank account. You will receive a picture and testimony of the child you are helping. We will send you a receipt for each tax-deductible donation to support your child. How many countries does GFA have outreach in? The field is currently working in more than a dozen nations. You can read about many of these regions on our website. In each region, GFA has godly leaders who give oversight to the ministry. How is ministry done on the mission field? Reaching the most unreached in our generation and seeing lives and communities transformed is the single vision and purpose God gave to GFA from its very inception. How could we possibly fulfill such a calling? Most unreached people groups live in the 10/40 Window in nations that severely restrict or are closed to outsiders. The Lord clearly directed us to partner with the Body of Christ in these nations to reach their own people with the love of Christ (Matthew 28:19-20). They do this inter-culturally, near-culturally and cross-culturally. No doubt the Lord has had His hand on each stage of GFA’s growth, from our small beginning of supporting a few workers on the field to providing tools such as literature, bicycles, vehicles, films, projectors and generators. We then began training thousands of national missionaries and established a godly network of leaders, coordinators and accountability systems. The Lord eventually enabled us to start a radio broadcast in a native South Asian language and create a listener follow-up system. Today, broadcasts in more than 110 languages are heard daily by millions of people throughout Asia. As part of the follow-up system, we began helping to produce and distribute books, tracts and other Biblical literature. To mobilize hundreds of new pioneer workers for the mission fields of Asia, there are 58 Bible colleges where students undergo three years of training. In the past, all these different developments seemed like unrelated puzzle pieces. But now we see that each phase of growth and expansion was part of a strategic plan. It was the Lord’s preparation to bring this ministry to a point where He could commission us to help train and send out thousands of workers to share the love of Jesus in the most unreached areas of the 10/40 Window. But so much work is yet to be done! Millions are desperately waiting to hear about Jesus. We are determined to move forward, believing the Lord will indeed enable us to help more workers who are being sent out into the fields of Asia. Download a free copy of Come Let’s Reach the World. Once in a while, I hear about Believers Eastern Church through GFA. Is there any affiliation between GFA and Believers Eastern Church? Though the church was born through the ministry of GFA-supported national missionaries, there is no legal binding between GFA and Believers Eastern Church. What is the history of Believers Eastern Church? Believers Eastern Church was established as a result of the need for churches on the mission field to disciple the new believers in places where no other churches yet existed. In the early stages of, national missionary leaders met for several councils to decide on the faith and order of the church. 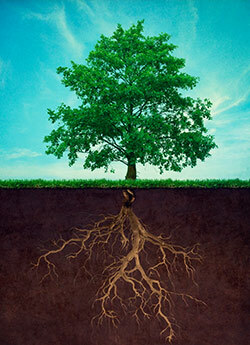 They did this to try to avoid the mistakes that are sometimes repeated in church-planting movements throughout history. As a result of their research, they discovered that for any movement to continue in the evangelical faith, with godliness and stability, there must be: (1) a strong emphasis on God’s Word (a systematic verse-by-verse teaching of the Word with practical application), (2) a church governance that helps maintain order, discipline, unity and accountability, (3) godly traditions of faith regularly practiced, and (4) an all-out commitment to fulfilling the Great Commission. Believers Eastern Church beliefs and practices were established to maintain these four godly principles. What are the doctrinal beliefs of Believers Eastern Church? “Believers Eastern Church accepts the Holy Scriptures of the Old and New Testaments, 66 books containing all things necessary for salvation, as the supreme and foundational standard of faith. “We believe that the truest mark and sign of a spirit-filled life is a life marked by love. Learn more about Believers Eastern Church history and its practices. What is the governance of Believers Eastern Church in Asia? There is an episkopos synod, a grand assembly known as Believers Eastern Church General Assembly (House of Representatives), and councils to aid the metropolitan and bishops in administration. The metropolitan of the church, who is the chief bishop among equals, is installed among the duly consecrated bishops of the church. Dr. K.P. Yohannan serves as the current metropolitan of the church. Today the church has 2.6 million faithful church members in 12,000 congregations in Asia with 13 episkopos giving leadership. Are there any practices in the church that are followed that help the acceptance of the Good News overseas? Asian cultures value tradition, and there are certain traditions that have become easily recognizable as pertaining to the Christian faith. One of those traditions, or practices, is that of the pastors wearing a full-length garment for official purposes. This is a very common uniform in many Eastern evangelical churches and is not solely used within one particular denomination. When people see a man wearing this long tunic-like robe, they automatically recognize him as a spiritual leader who they can respect, open up to and ask for prayer. Ministry becomes much more effective when the pastors wear this uniform, because it creates trust among their communities. The Evangelical Church of India, The Good Shepherd Community Church movement founded by Operation Mobilization in India and dozens of other evangelical churches follow this tradition. Some have confused the dress code of Believers Eastern Church pastors as being Catholic. Believers Eastern Church is not Catholic, Episcopalian or Orthodox nor is it affiliated with any denomination. Another practice that helps people receive the Good News is using a simple liturgy during church services. (Liturgy means a systematic order of worship.) Using liturgy unifies the 2.6 million believers in the Body across South Asia and gives believers a sense of a greater community and involvement in the Church. It also allows them to be part of the service instead of just being onlookers. It brings value to their faith and helps them learn the doctrines and principles of the Church, which is crucial to their growth. A typical church service in a Believers Eastern Church includes 30 minutes of worship and adoration of Jesus Christ and 40 minutes of systematic teaching from the Word of God with practical applications. It also includes prayers, Scripture readings and confession of the Nicene Creed or the Apostle’s Creed. The creed that is confessed helps new believers become grounded in sound doctrine. Following a systematic reading of the Word of God during the worship service is especially important for the illiterate people in the congregations. All of this is not to the exclusion of spontaneous prayer and worship, which is also enthusiastically encouraged and taught. These elements in the service bind these believers together in common faith. The 10/40 Window seems to be the focus of many mission organizations. What is GFA’s perspective? We are grateful for the tremendous amount of information that has been published over several decades regarding the 10/40 Window and the 2.5 billion people living there who are waiting to hear the precious name of Jesus for the first time. Due to travel and other restrictions, language and cultural barriers, harsh living conditions, lack of funding and many other reasons, the challenges to reach the 97 percent of the world’s unreached people living in the 10/40 Window, also known as the “Resistant Belt,” remains. For over 35 years now, GFA has helped launch national workers in some of the neediest Asian countries, including areas with the most unreached people groups in the world. Learn more about the most unreached in Asia. I hear GFA is a religious order. What does that mean? Members of the organization normally live together as part of a community and are held to a higher level of moral and spiritual discipline than that required of lay church members. Members of the organization work or serve full-time on behalf of the religious, educational, or charitable goals of the organization. How does GFA see the future of the work growing? We know harvest is a fixed time, and right now the doors are wide open for gathering. We rejoice over the multitude of fellowships being established on the field and over the many men, women and children who are finally experiencing Christ’s love and grace in their own lives. We pray the Lord continues to grow this ministry and the people serving at GFA, so we can be used by Him for even greater things.